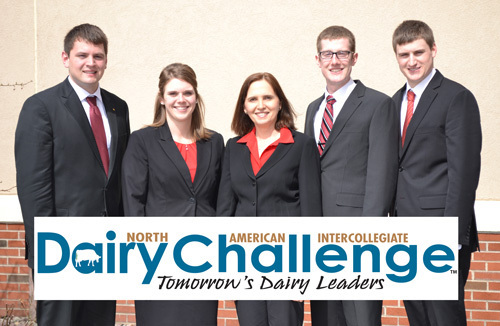 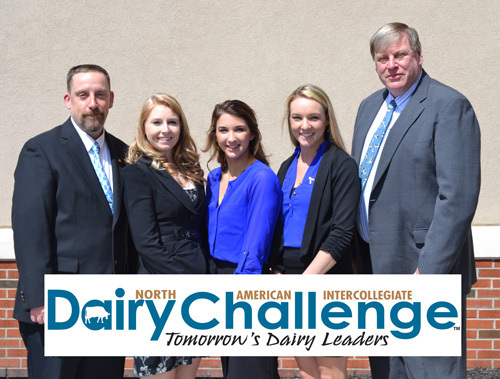 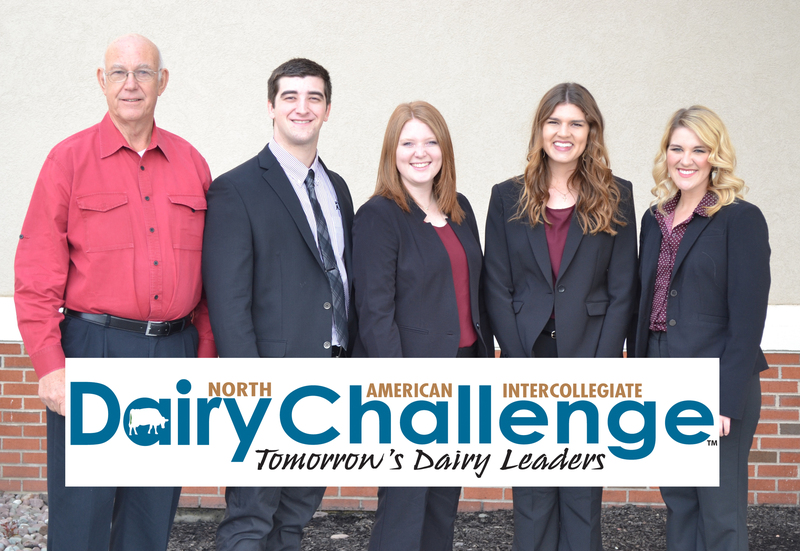 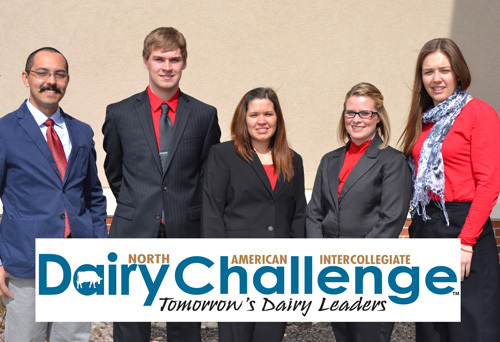 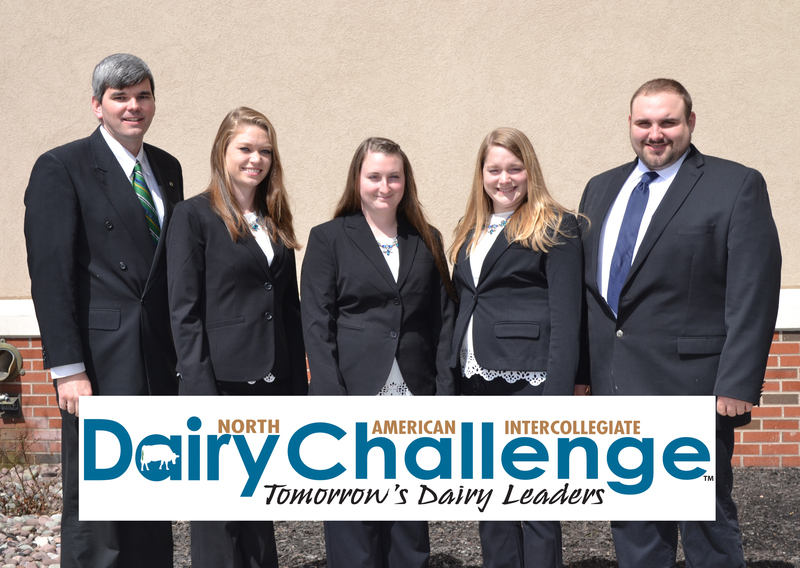 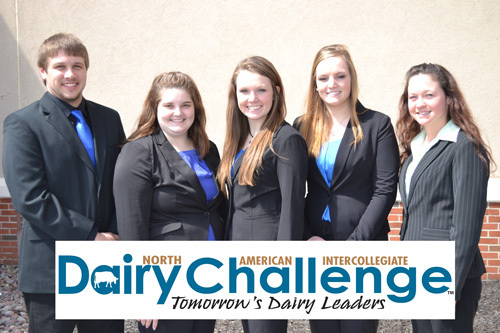 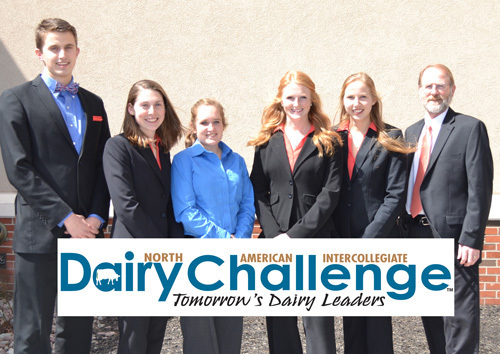 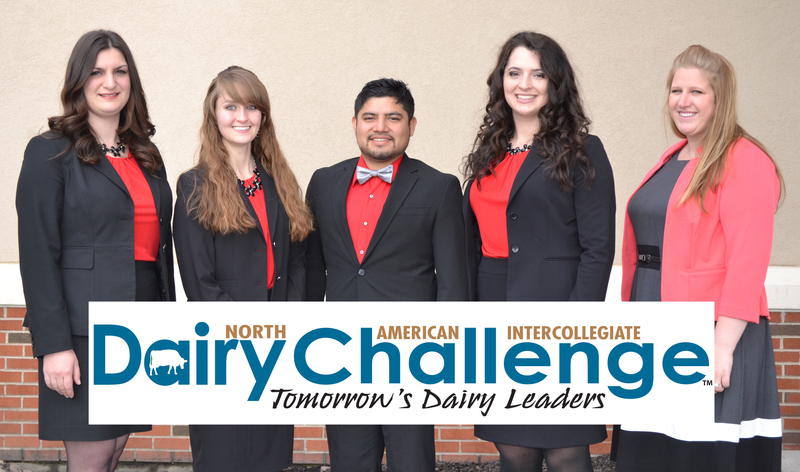 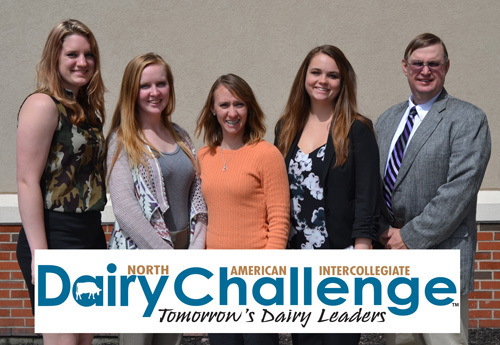 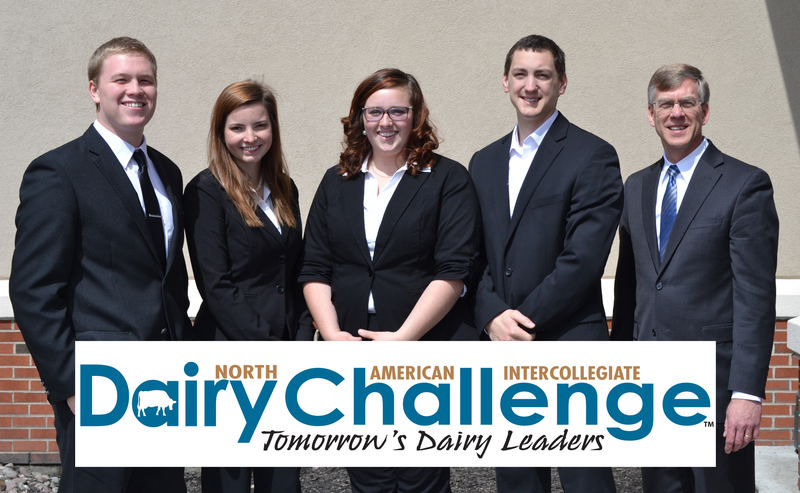 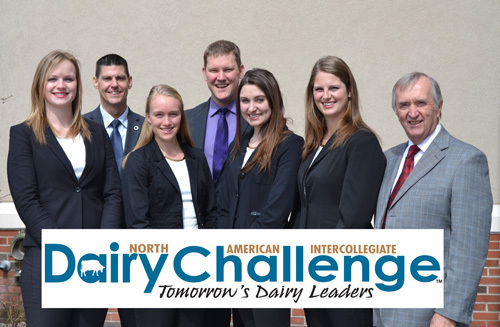 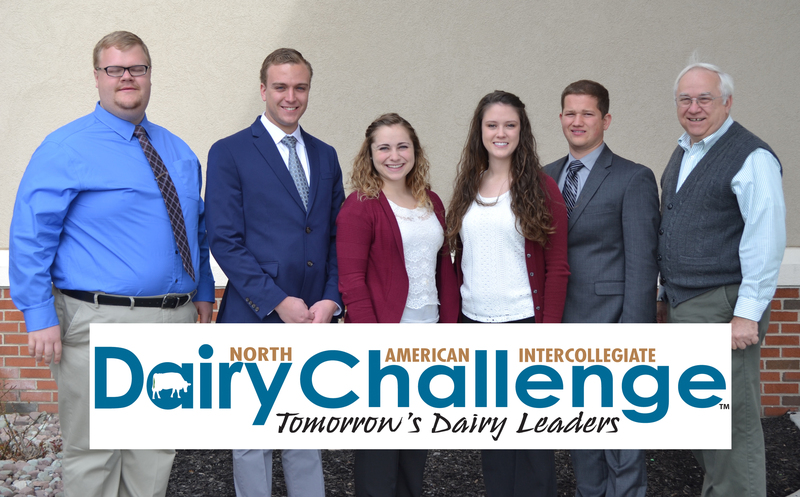 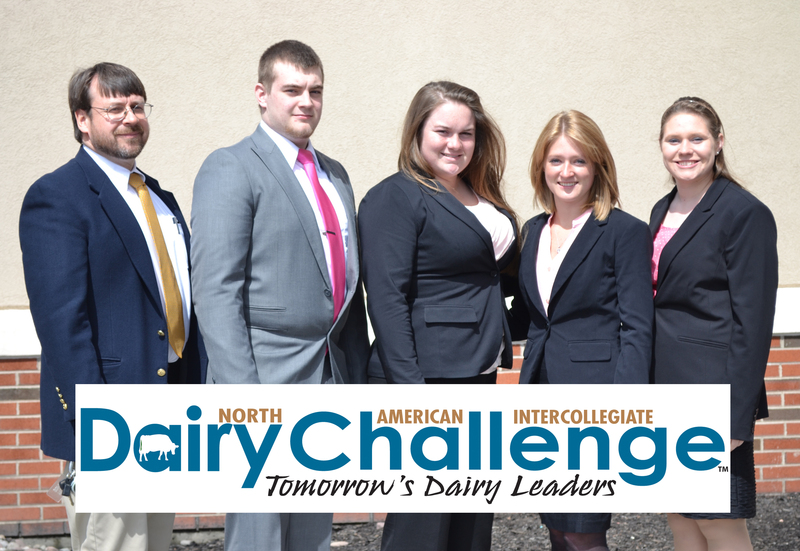 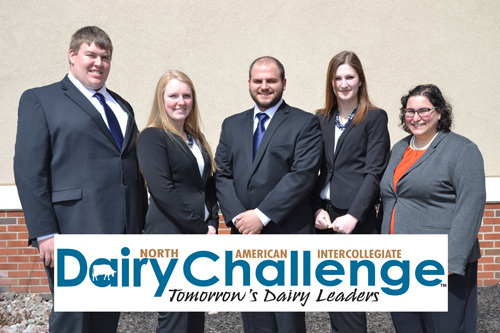 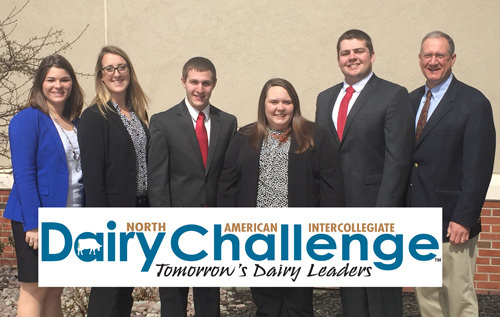 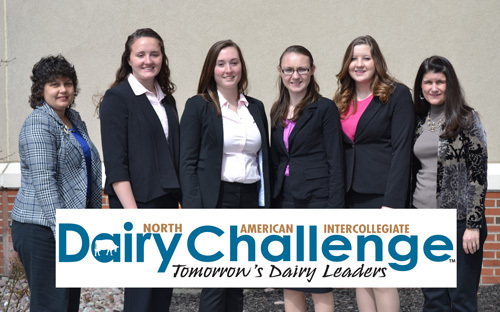 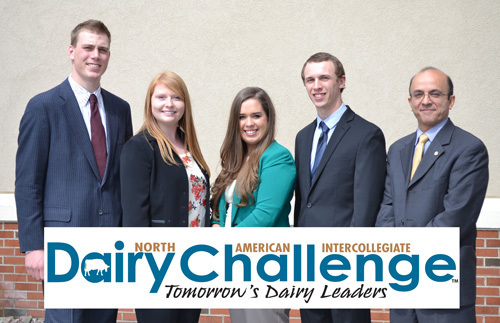 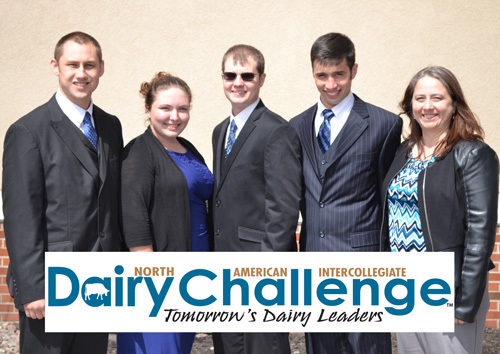 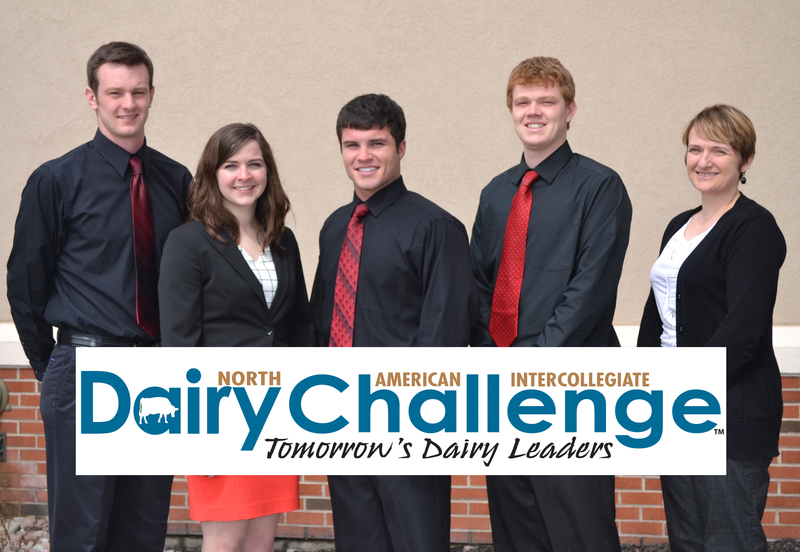 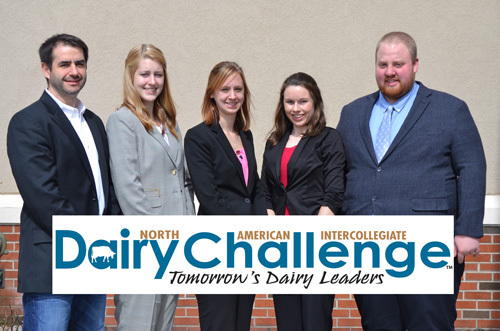 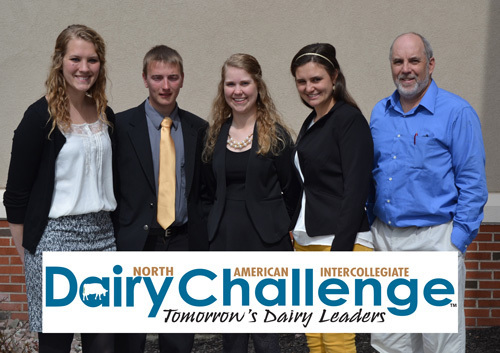 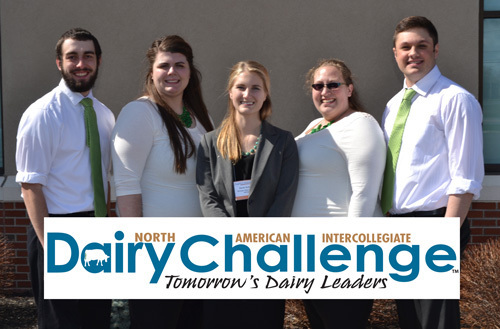 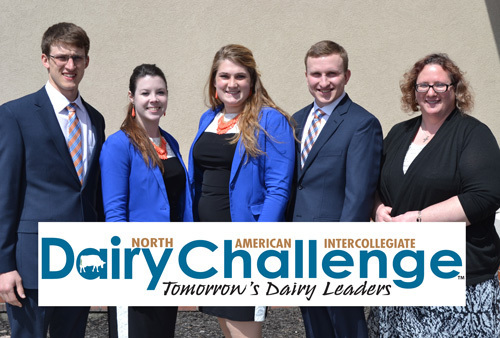 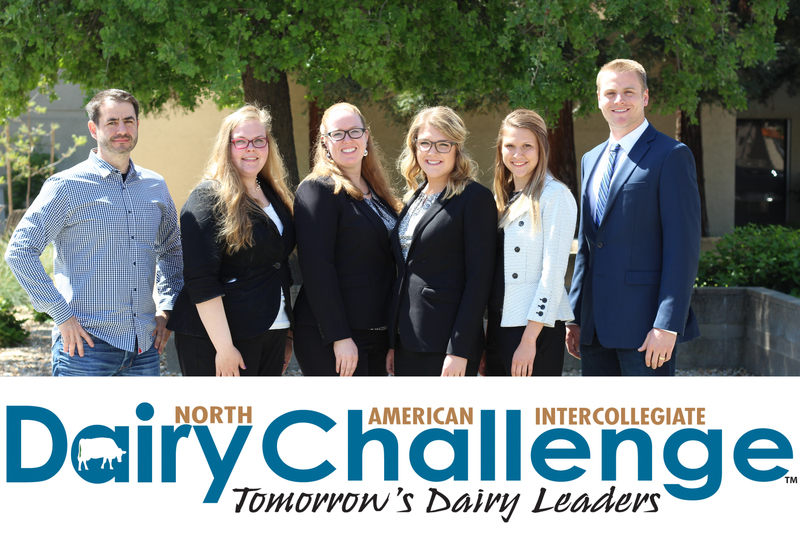 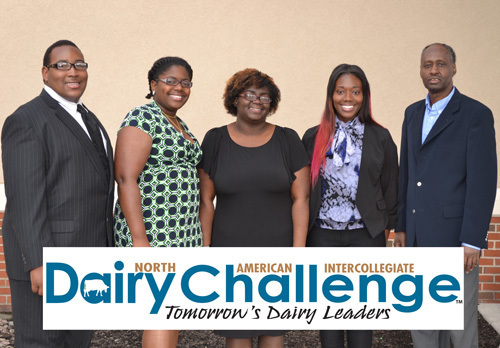 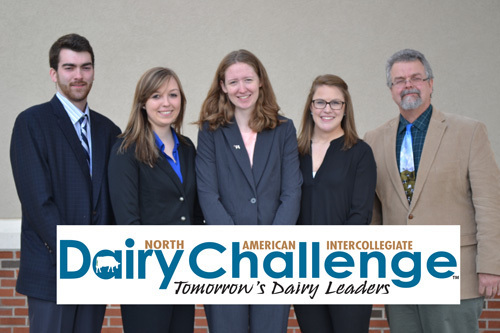 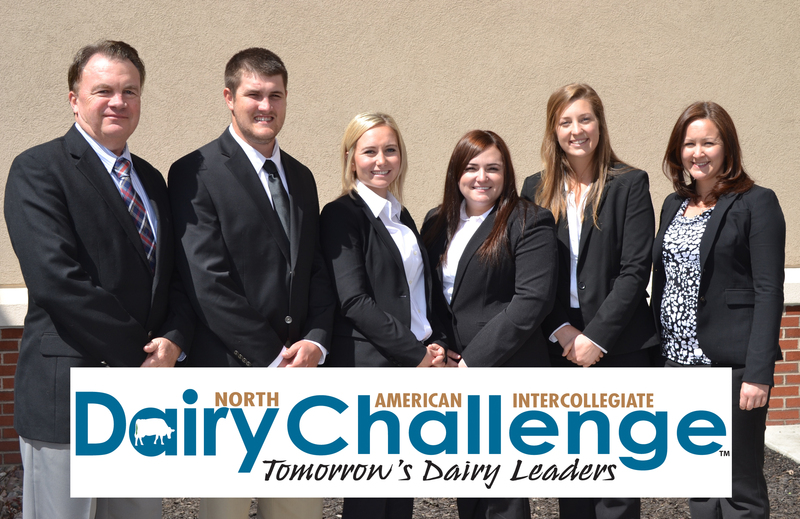 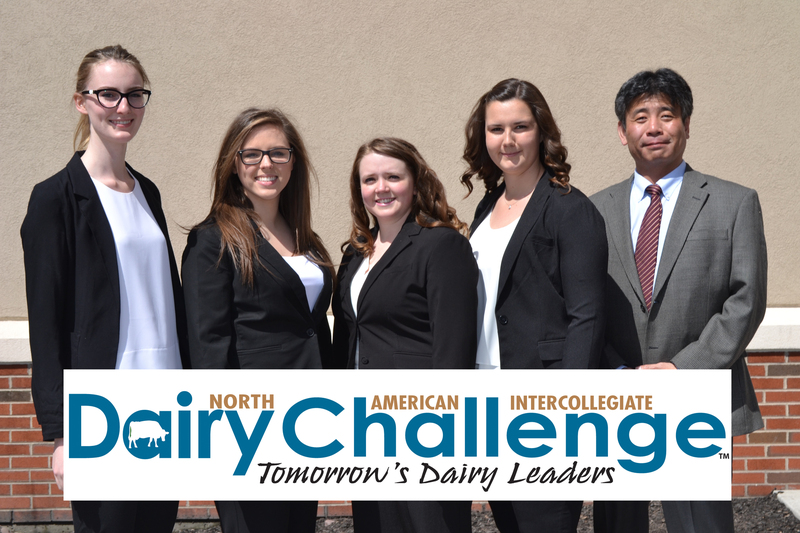 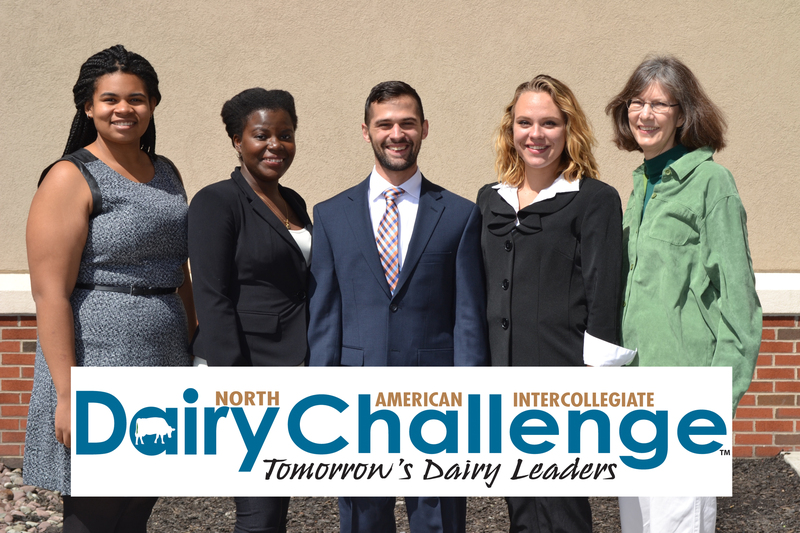 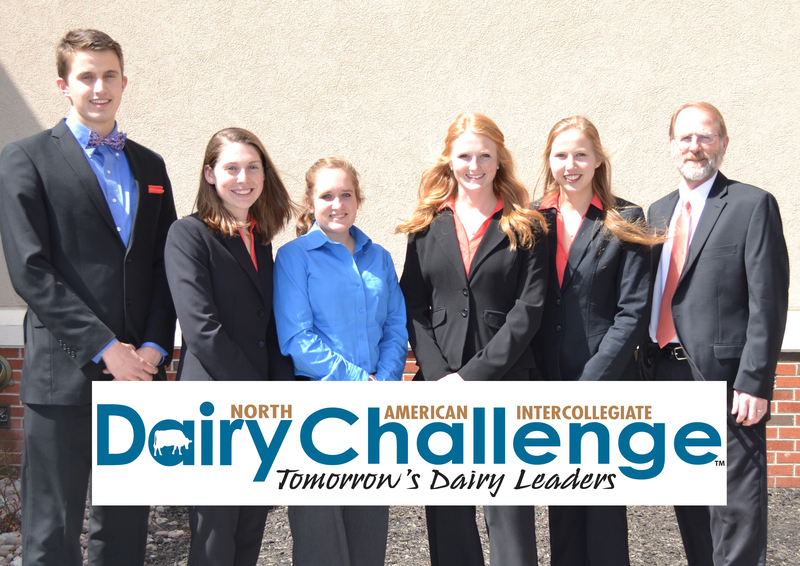 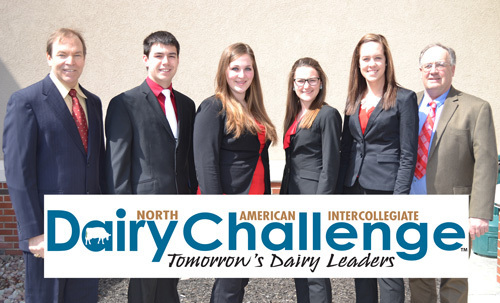 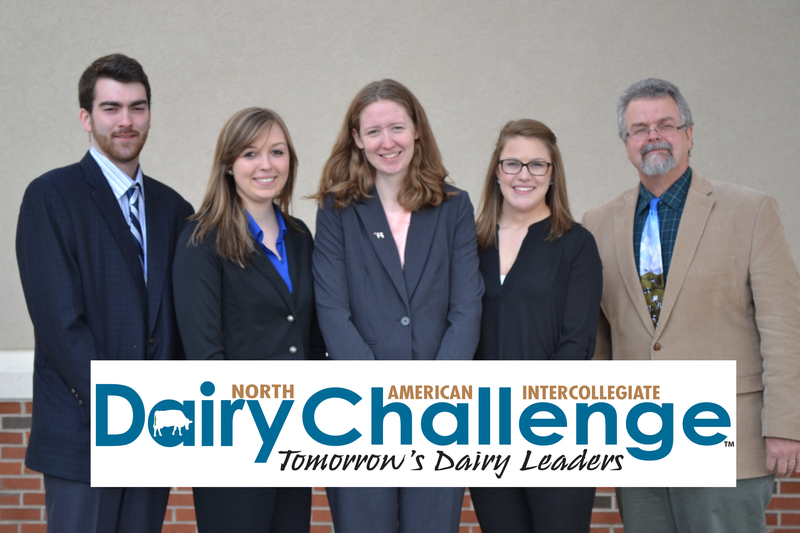 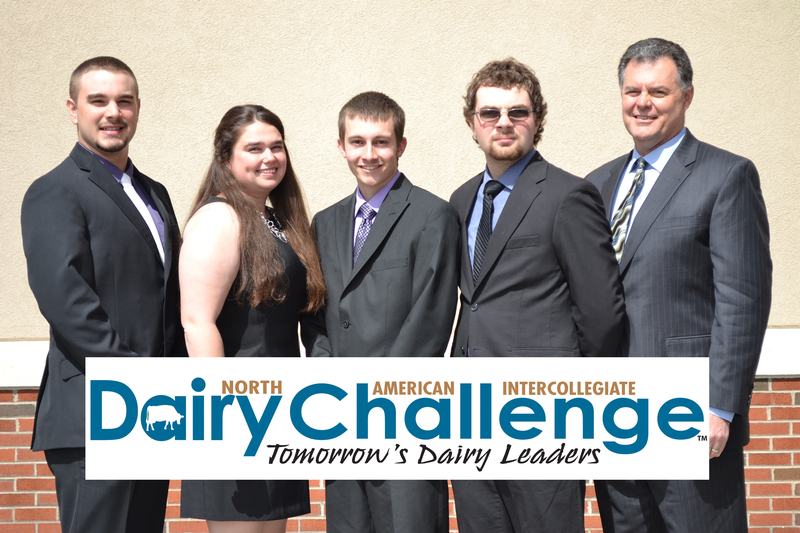 Earning first place honors at the 2016 North American Intercollegiate Dairy Challenge� were teams from California Polytechnic State University, Cornell University, University of Wisconsin-River Falls and University of Wisconsin-Madison. Dairy Challenge contest and Academy students join together for a group photo. 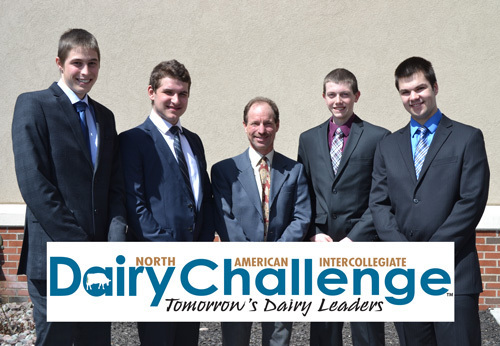 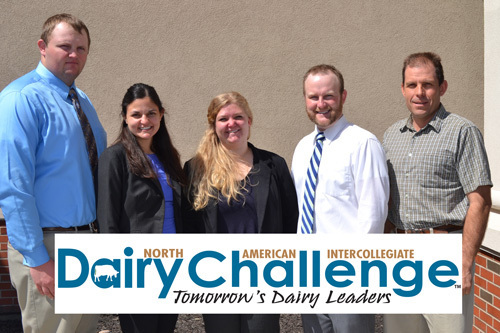 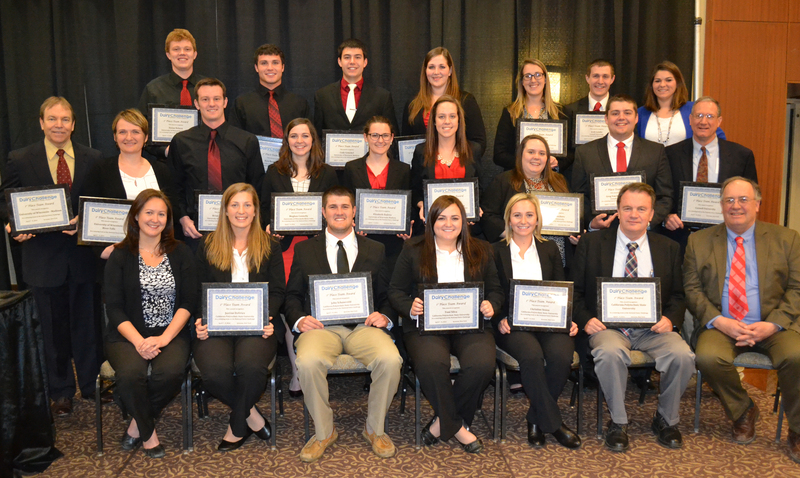 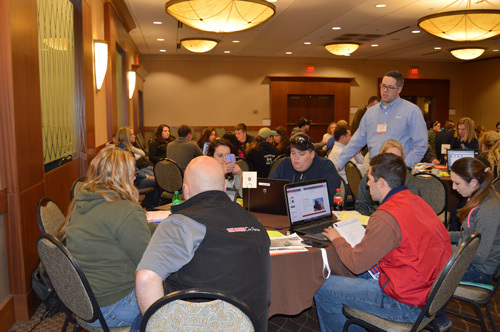 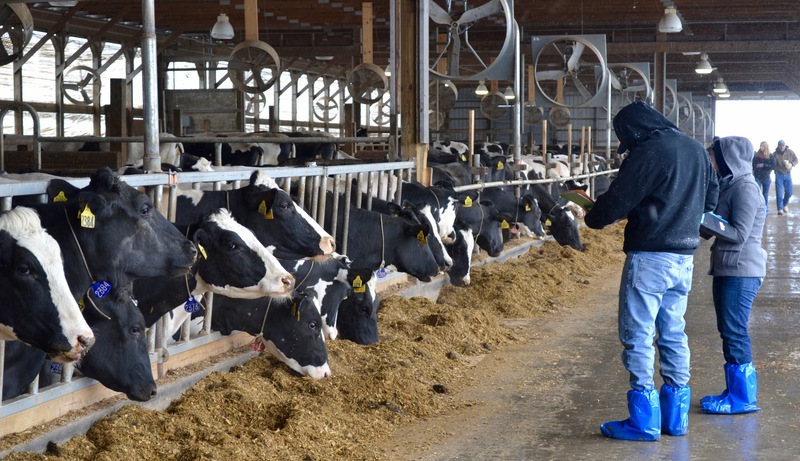 Corey Kayhart (standing) of Cargill Animal Nutrition serves as an Academy Advisor for the 2016 Dairy Challenge Academy, where students work in mixed-university teams and conduct a dairy farm business analysis. 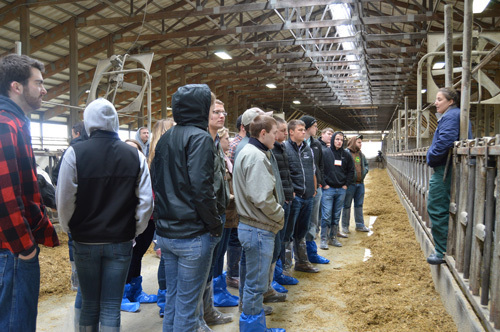 All students toured Hemdale Farms, Inc. as part of the 2016 Dairy Challenge, learning about the operation that has 19 robotic milking systems. 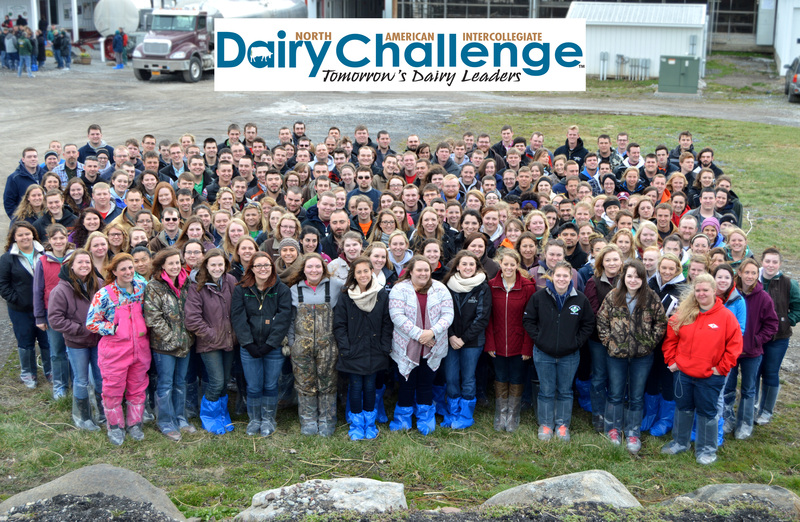 Dairy Challenge students assess all aspects during the on-farm evaluation at Fouts Farm LLC in Cortland, NY. 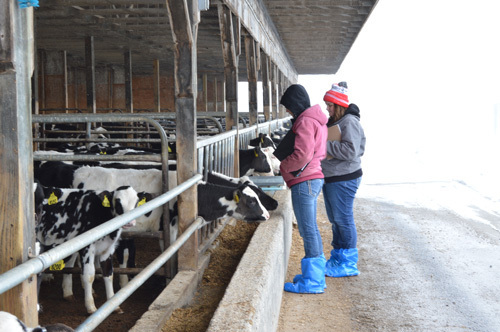 Students from South Dakota State University, Maggie Stiles (left) and Brianna Lee (right), review heifer facilities at McMahon�s E-Z Acres in Homer, NY.